Meeting up with Bluebeard and Nikita is always a pleasure because it satisfies 2 criteria: one, to go out and eat; and two, we have an excuse to eat in Langley. Why Langley? Well it ain't the culinary destination in the GVRD, but there are some gems. And you can't find gems if you keep digging only in the same place, unless all you want are cubic zirconias. Ah yes, cubic zirconias... from the Shopping Channel. Hey it looks just like a diamond, but not! Try to pass that off to your spouse/partner or girlfriend! 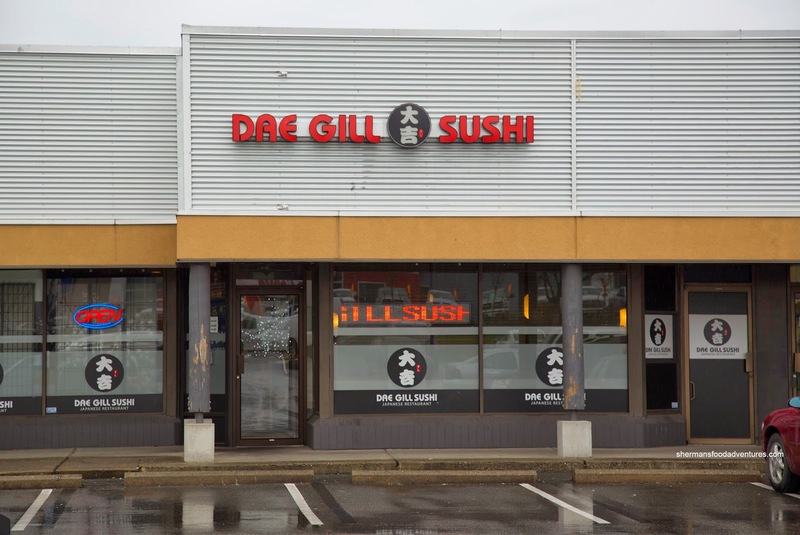 Anyways, we met up at Dae Gill Sushi this time around and by looking at the name, we figured it was Korean-run. 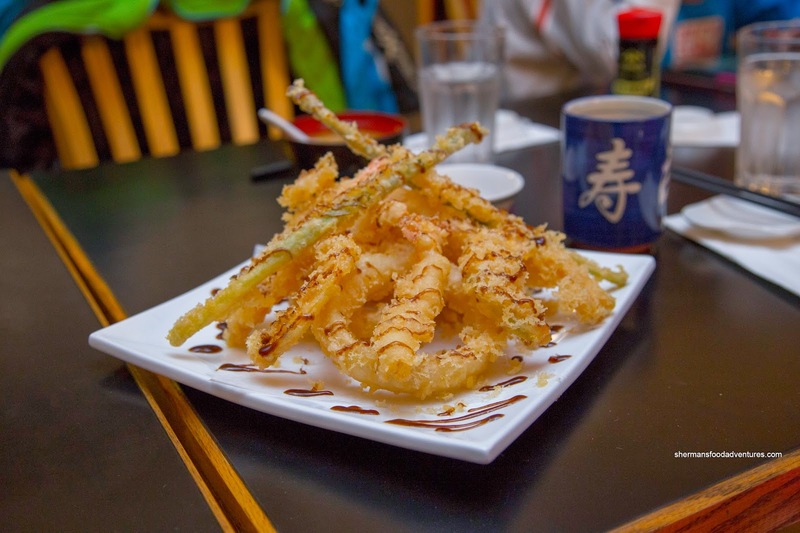 Starting with the Assorted Tempura, we were a bit confused with the sauce drizzled on top. In the end, each piece was really crispy but they could've eased up on the batter. Veggies were done right as well as the meaty ebi. Our Assorted Sashimi was plated flatter than the Prairies as each slice was quite thin as well. Everything seemed okay except we didn't like the little scallops (too small) and the barely defrosted tuna which was super frigid. Next, we had the Dragon Roll which was inexpensive at $6.95, but when it showed up, we could see why as it was no bigger than a regular roll. 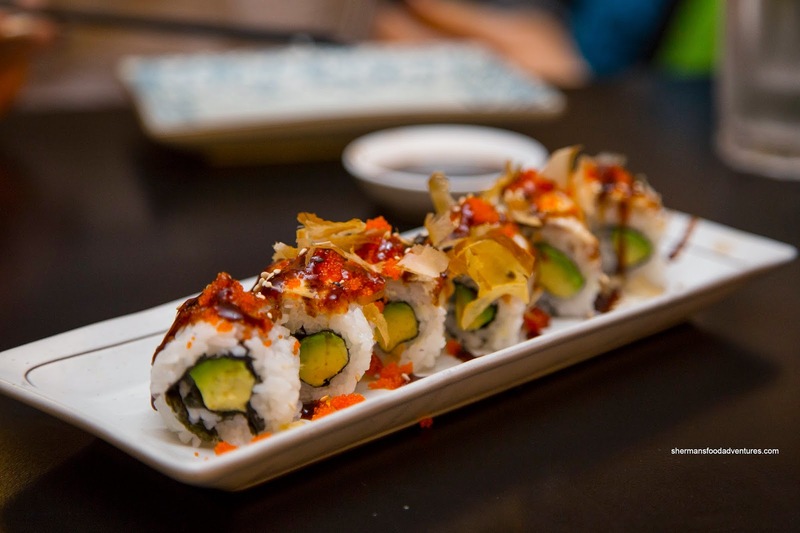 Consisting of only avocado with unagi, tobiko, bonito and sauce on the outside, there wasn't much substance. Furthermore, the rice had too much moisture where it was gummy and sticky. On the other hand, it was seasoned quite well. 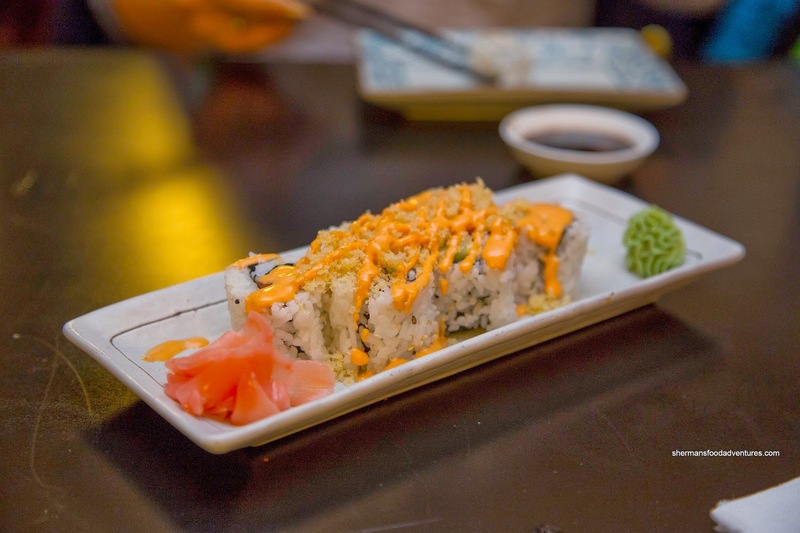 For our second roll, we had the Spicy Salmon topped with tempura bits and spicy mayo. Since it was afflicted with the same sushi rice, we found it heavy. There was a nice spiciness to it though that was not overbearing. 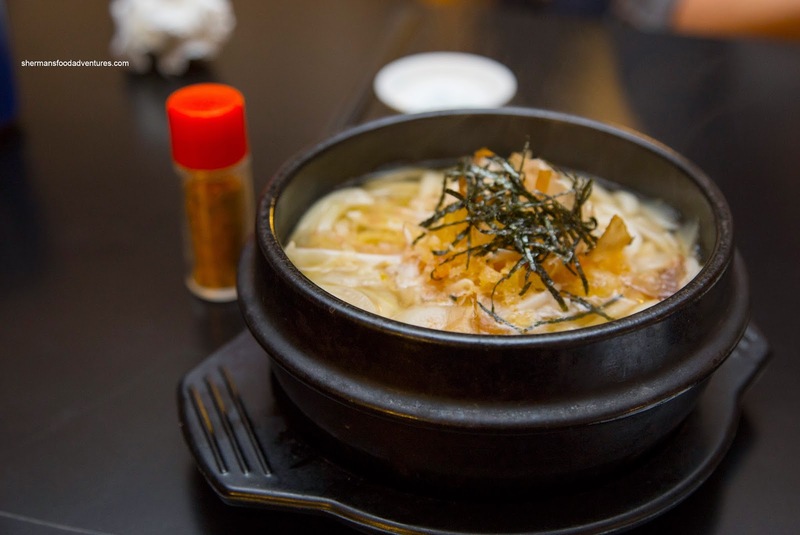 For the kiddies, they shared a Chicken Udon that featured far too much white onion. It not only complicated a normally simple item, the flavours were all out-of-balance. The dashi was actually quite good, but the sweetness was too much due to the onions. As for the chicken, they were in little bits and we had to hunt for them. 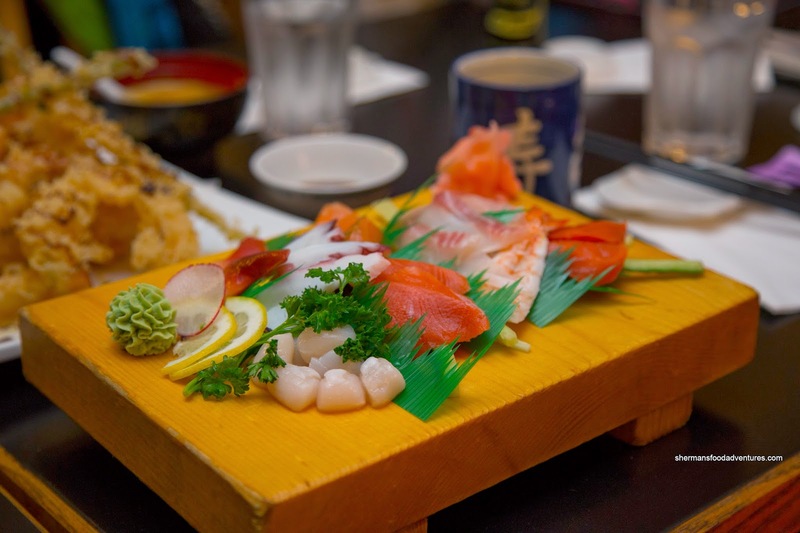 While we were finishing up, Nikita and Bluebeard lamented that Dae Gill is yet another mediocre sushi joint out in Langley (not a gem this time around). Totally edible, but hardly something one would be clamouring to re-visit.